Don’t leave a single field blank. 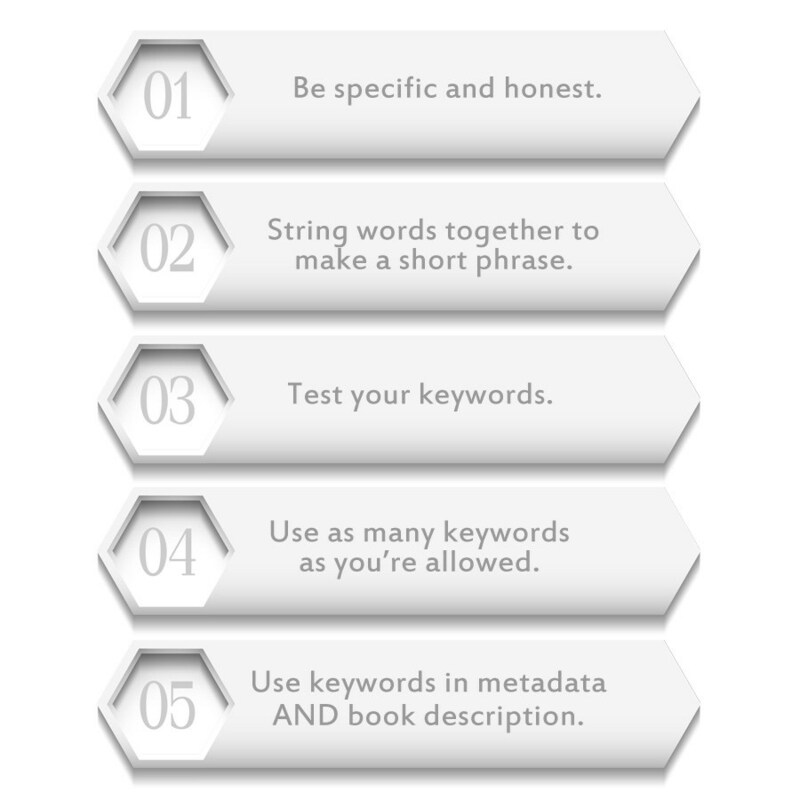 Do your research and find all pertinent keywords for your genre/book. Amazon tip: You can also string related keywords together with the ‘&’ sign. For instance, I use the following term for Shirley Link & The Safe Case: “mystery & suspense for kids”. For The Camelot Kids I use: “paranormal & urban & friendship & social skills & school life” as one keyword and “science fiction & fantasy & sword & sorcery” for a second keyword. Using the ‘&’ allows you to pack more words into your allotment of seven.